You mean the electric animation? As in, this one. I upgraded to level2 and initiate a hammer construction (8h before completed). 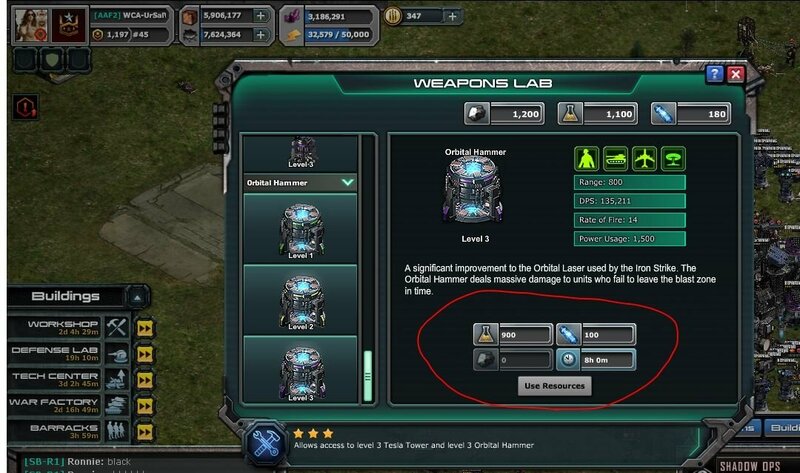 - Can I upgrade to level3 and still have the hammer constructed ? - Does the lab position is of any importance ? ie: being placed outside defense and destroyed has any influence of the bastion construction/usage ? i was planning on putting that in my post but someone stopped by my house and distracted me lol. 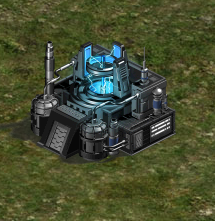 Q: Where do we acquire the resources to build Bastions? A: The new Resources, Chemical, Silicon and Core are acquired through completing either Tier 3 of Shadow Ops, or completing Tier A or B of events. 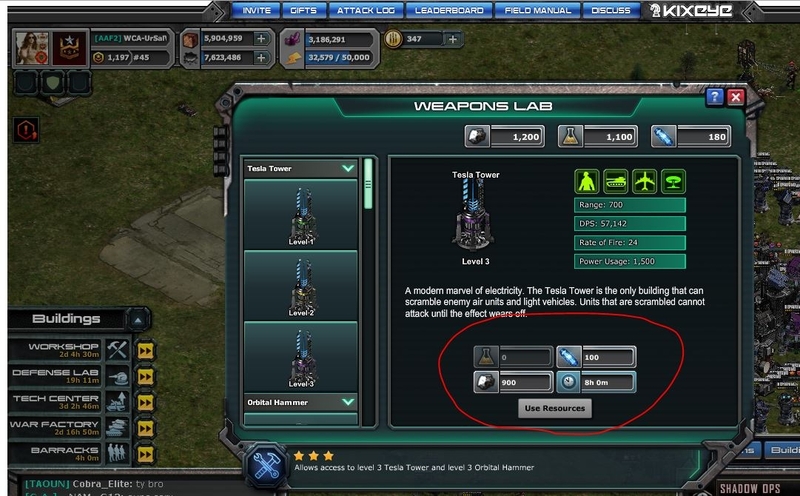 A: The Tesla Tower can afflict the Scramble Effect to all Non-unique units, such as the Night Owl, and Semi-Unique units, such as Vehicular Special Forces units like the Warhorse, Ultra-Tank and Cyclone. 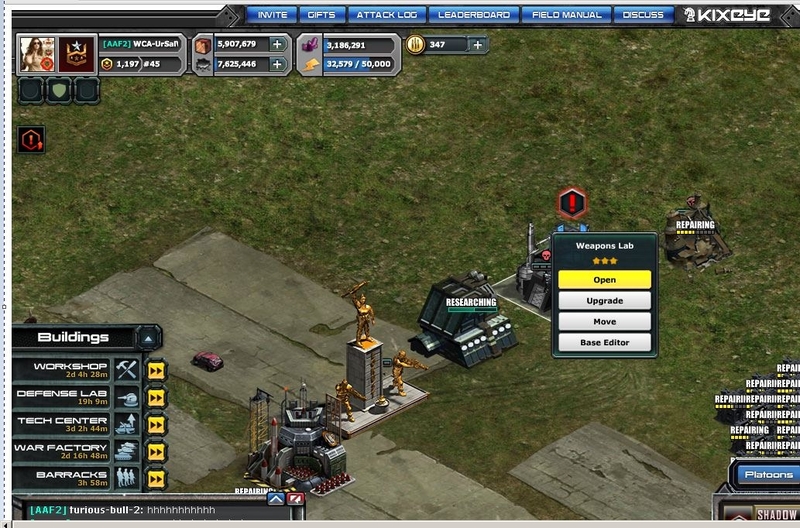 Unique units however, such as the Elite Titan, Sandstorm and Inferno are all Immune by default to Tesla Tower effects, as are human Special Forces units like the Operators. I attach images for ur review. Care to spare me a couple of them coins lol. I need to get some upgrading done haha. Placing the lab anywhere has no impact on Bastion building and so on. Like, I have mine dumped on the outskirts of my base. Its 4 mins repair which can be done instantly of course. And once the Bastion is built and placed, it operates entirely separately from the weapons lab and all that. I am having issues with building my turret. Every time I log off of the game my orbital hammer turret stops building. The timer only counts down when I log in the game. Should I send in a ticket for this? You already have a produced Bastion, indicated by the red exclamation mark above your Weapons Lab. Once you place this Bastion, you may produce another Bastion. You may have more than one bastion ? I have one bastion and started to produce a(nother ?) bastion. No mention or info about limitation or time extension of the first one. This is an FAQ, not a complaints thread. Post your problems elsewhere. its a must have building ! Res is to hard to get. Again, FAQ, not a complaints thread. Complain elsewhere and don't clutter up my thread with useless comments please. 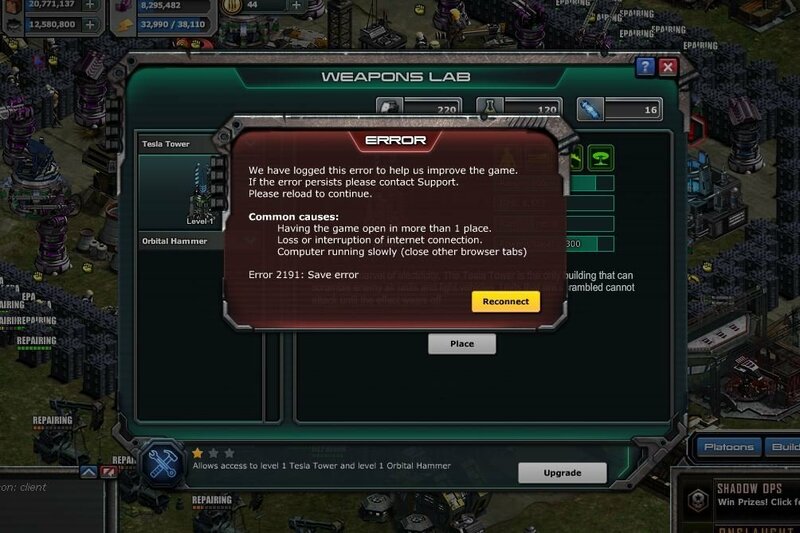 Why are the Lab supplies (mainly cores) so unbalanced in distribution? If they are not given evenly and fairly what is the use of trying. Thane, Thank you for posting this, I finally got time to read all yours, as well as everyone else comments. This did answer some of the questions I had. Good job !! OK, Im not sure I quite understand the question, can you rephrase it please. Are you asking if the labs placement is important? Your welcome. Glad it was of use to you. I wish that this FAQ could be updated. However, the user who made this FAQ is forum banned which means it cannot get updated to a more relevant FAQ in the player guides forum. The biggest change is how to earn bastion resources. Yeah that is a huge problem. Wish I could do something about it.